July 2016 | MMA Fighting Events Videos Techniques UFC Fight Picks and News. 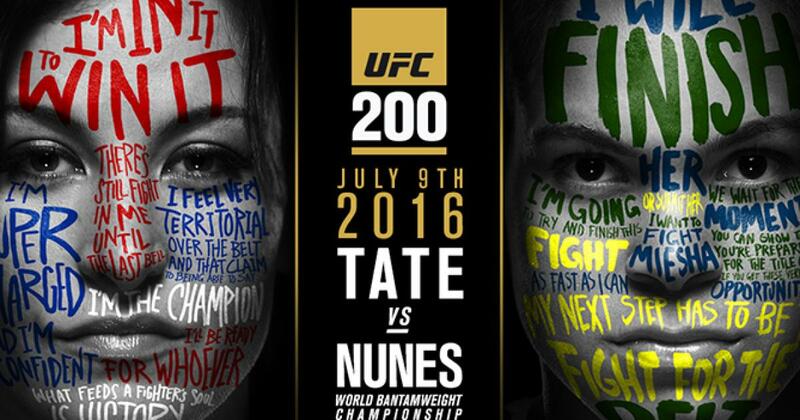 UFC 201 hasn’t been getting much attention, and, rightfully so. It’s not a great fight card and the main event isn’t sparking the interests of the casual fan. 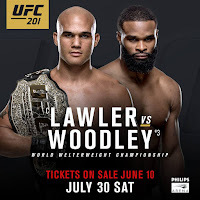 Robbie Lawler is the welterweight champion but Tyron Woodley is going attempt to change that. Let’s take a closer look at these fighters and then I’ll make my UFC 201 main even fight pick. Robbie Lawler comes into UFC 201 with a five fight winning streak. He’s an MMA veteran with an overall record of 27-10 and will probably go down in UFC history one of the hardest hitting MMA fighters ever! If KO power is his main weapon, the best takedown defense in the game is his shield. Add a chin of stone to that mix and you have a predictable, yet unstoppable combination. Robbie Lawler fights tend to resemble a game of Rock ‘em Sock ‘em Robots and it’s usually he who delivers most of the rockin’ and sockin’! Can Tyron Woodley withstand the storm and take the belt away? Tyron Woodley is 15-3 in his MMA career. He’s 4-1 in his last five with the only loss coming to Rory McDonald who gave Robbie Lawler a tough fight but eventually lost the Rock’ em Sock ‘em battle in the fifth round. Tyron Woodley has some great athletic ability and is an excellent wrestler. 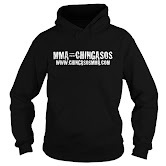 He can stand and deliver some hard chingasos as well which has made him a force in the division. This fight is as predictable as it comes. Robbie Lawler is going want to keep the fight standing. Tyron Woodley’s best chance is to take the fight to the mat. Unfortunately for Woodley, Lawler’s takedown defense is just too good and that’s not going to happen. This fight is going stay on the feet and will become a battle of the chins and gas tank. Lawler is better in both categories. Look for the fight to start slow, and then haymakers will rain down from both men. Woodley will attempt takedown but will pay the price and take punishment for each and every attempt. 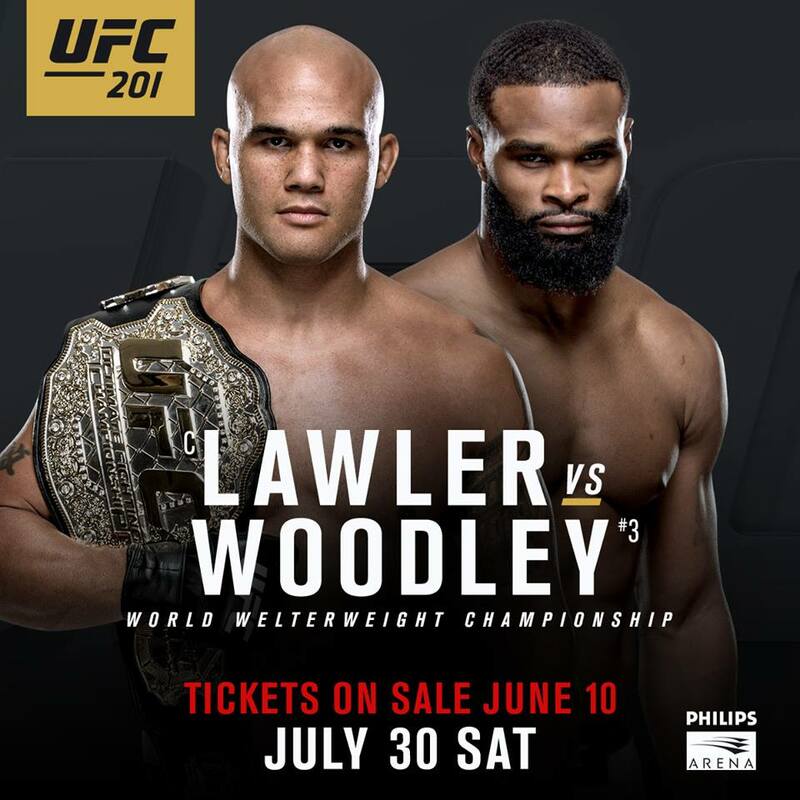 Eventually Woodley will begin to gas and Lawler will land more and more power shots. This fight will most likely end in the fourth round by KO/TKO and Robbie Lawler will walk out of the cage with another title defense on his resume!